24 hour access, guardhouse / concierge, lakes, party room, playground, sand soccer court, intercom and forest service. Property built within modern architectural standards, bringing together all amenities, comfort, security and integrated into a landscape project, in a municipality with excellent air quality. Condominium with excellent standard houses. 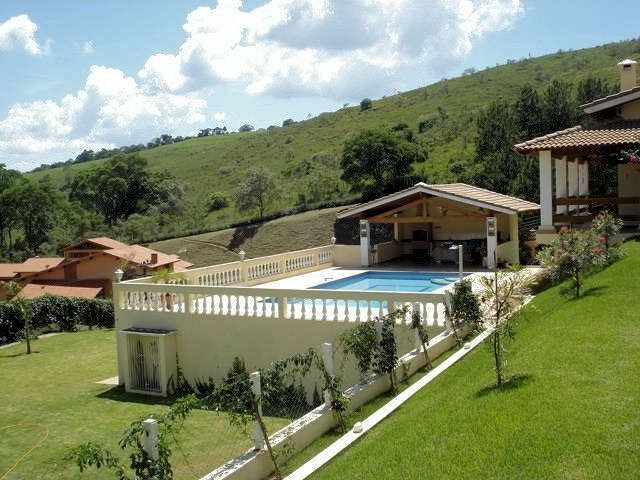 The property is situated in Piracaia, with access by the Highway Jan Antonin Bata Km 80, very close to the clover with Rod. D. Peter. There are many options of tours and tourism, such as Atibaia, Piracaia, Bom Jesus Perdões, Nazareth Paulista, Pedra Grande with delta flights, waterfalls, handicrafts, various shops, diverse and well structured horse riding, farms, trails, restaurants, etc. .
Easy access to other cities in the interior of SP and also easy access to Rio de Janeiro and Minas Gerais.